Disclaimer: I received a free review copy of this book at ALA Annual 2015. All quotes are based on an uncorrected text. Seventeen-year-old Madeline Whittier has lived almost her entire life inside the protective cocoon of her spotlessly clean house, breathing filtered air, and avoiding all of the possible triggers that could cause her own body to kill her thanks to Severe Combined Immunodeficiency. The extensive decontamination process for entering the house means the only people Madeline sees on a regular basis are her mother, who is also a doctor, and her nurse, Carla. So Madeline attends school online, reads extensively, posts book reviews on her blog, and enjoys game nights with her mom. For the most part, Madeline is content to explore the world through her books, but when Olly and his family move in next door, suddenly books don’t seem like enough anymore. If, like me, you remember the terrible 2001 film Bubble Boy starring Jake Gyllenhaal, the premise of this book probably gives you hives. But while Everything, Everything is definitely a romance, crucially, it is not a romantic comedy, though Yoon definitely brings a healthy sense of humour to the table. Rather than playing Madeline’s condition for laughs, her illness becomes a meditation on wanting things we can’t have. Madeline quickly becomes intrigued with Olly, and his odd hours and strange comings and goings provide ample entertainment outside her window. But her true feelings for him develop slowly, over email and IM, after his bizarre but charming antics convince her to give him her email address against her better judgement. Interspersed with Madeline’s narrative are drawings, emails, instant messages, and even short book reviews that she posts on her blog, all of which develop her character, and show how she builds a connection with Olly online, where she is a free to be a person rather than a patient. For her part, Carla fulfills a role similar to that of the nurse in Romeo and Juliet, aiding and abetting Olly and Madeline’s romance with little regard for the consequences. But Carla allowing her to bend the rules while her mother is at work only leads to Madeline wanting more, wanting everything the world has to offer, not just Olly, but school, and friends, and travel. Taking what little she can have means opening herself up to hurt and disappointment and longing. 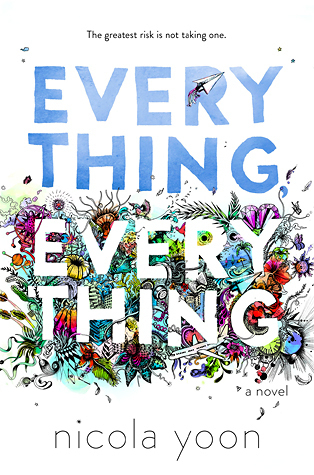 A quirky romance with a seemingly insurmountable barrier, Everything, Everything is an incredibly heart-felt exploration of first love under trying conditions. 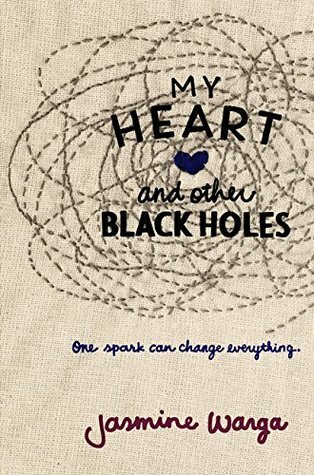 You might also like My Heart and Other Black Holes by Jasmine Warga. I’ve only heard really good things about this book, will have to check it out!